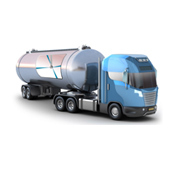 Haglage Associates offer twenty five years of experience in assisting companies with solving their tank cleaning challenges. We are confident that we can recommend and provide you with a tank cleaner for your project that will exceed your expectations. 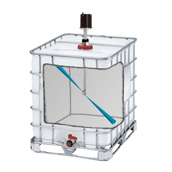 The Roto Jet is the workhorse for cleaning IBC's and totes with a high pressure/low flow 3d spray pattern. The Roto Jet's cleaning abilitites are far above other cleaners. 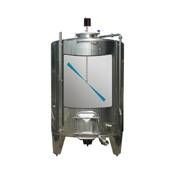 Whether you clean with high pressure/minimal flow or low pressure/maximum flow, we have a tank cleaner for you. 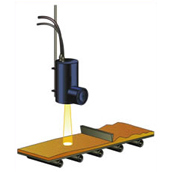 Our products range from the Roto Jet to the Model 360 and anywhere in between. We have a variety of tank cleaners that are effective in cleaning very difficult tanks, those that require a less aggressive approach, or basic hands free rinsing action. Our mobile barrel washing equipment is designed for high pressure cleaning with a spray head rotating 360 degrees, driven by an electric motor. 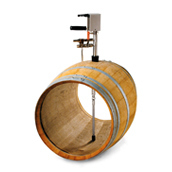 Barrel cleaners also create a vacuum to siphon out dirty water. We have the equipment to determine the moisture content of a product in either stationary/on line or portable applications.